Director Erik Matti shares his exciting plans for the rest of the year. 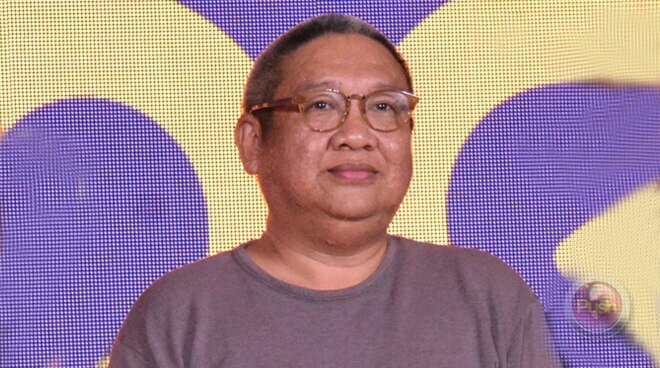 Apart from preparing for the much-anticipated remake of Darna on the big screen, director Erik Matti said he’s got his hands full this year with projects. He was recently chosen as the Philippine representative for the new HOOQ filmmakers guild where he will be judging scripts from aspiring filmmakers from all over Asia who will get the chance to have their ideas become an online series. “I think it’s inevitable that everywhere in the world globally everyone’s moving into online and to be part of it is really special from the very beginning, especially if it’s done locally. We can already see the shift into online viewing by a lot of Filipinos. I even heard in the news that cable subscription has gone down. Everyone is more or less focused on online viewing and HOOQ offers an international opportunity for all of us. Not just for the Philippines but for Southeast Asia in general,” he shared. Matti shared why he feels it is hard to find truly original material but that should not be viewed as a negative thing. “Other movies are inspired by other movies. But what you are looking for is the personal voice of the one thinking about the project. So it may be influenced or it may be inspired by other projects but the content is personal to the filmmaker then it becomes a fresher idea, a more unique idea that you really feel it needs to be told,” he explained. After the announcement last year that his movie OTJ would be turned into an regular series, many have wondered why it is still not visible online. Matti finally gave an update on his first online series. “Madugo (laughs). Nakakatakot for OTJ, we wanted something really special. We don’t want to rush anything. We’re putting together a bigger idea for the series because now we’re also launching it as a movie first. And then attached to the movie we’ll be launching the series on HOOQ. It just helps in bringing the story out there first and bring the traffic to HOOQ and entice them to be interested in watching the entire series. And it’s not easy to put it together. We’ve read the script already and it’s kind of bloody to mount. They asked for a final casting two weeks ago and we did a presentation and listing down all the characters there were at least 65 characters that we’re looking into. Imaging how we’re going to cast that and put it all together in the movie,” he revealed. The multi-awarded director hopes people will be patient while waiting for OTJ. “We made it bigger because now we’re launching into a movie. Because the format of an online series lends itself to shorter, cleaner plots. But with the movie we want to launch the story of this new OTJ with a lot more explosion. Meaning in two hours time, you have a lot more to discuss and talk about, a lot more characters to explore, setting it up for the series and it’s a bold idea to be launching it as a movie first going into the series. Of course I can’t share how big the story is but if you look at the story and how complex all the characters have been put together then you cannot just avoid thinking of when the HOOQ series is going to be launched. It’s a complete film but we’re leaving out some unfinished business so that it continues into the series,” he explained.